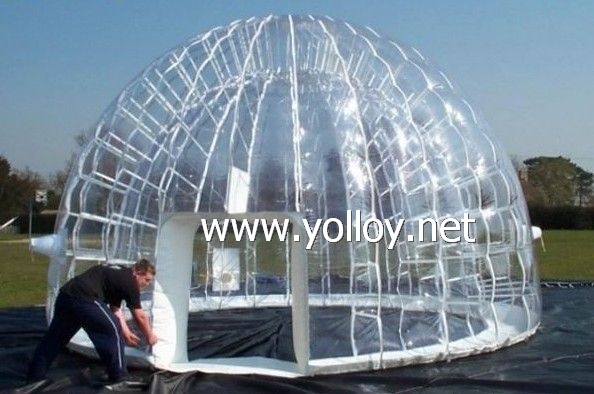 trasparent inflatable dome tent:are widely placed in all kinds of outdoor party events and also for opening ceremonies, promotion activities, displaying shows, sports arenas, warehouses, stores etc; they will bring people much visional impact. As it is transparenet PVC, People in the dome can have a clear vision for outside Scenery . It is also very popular to exhibition.